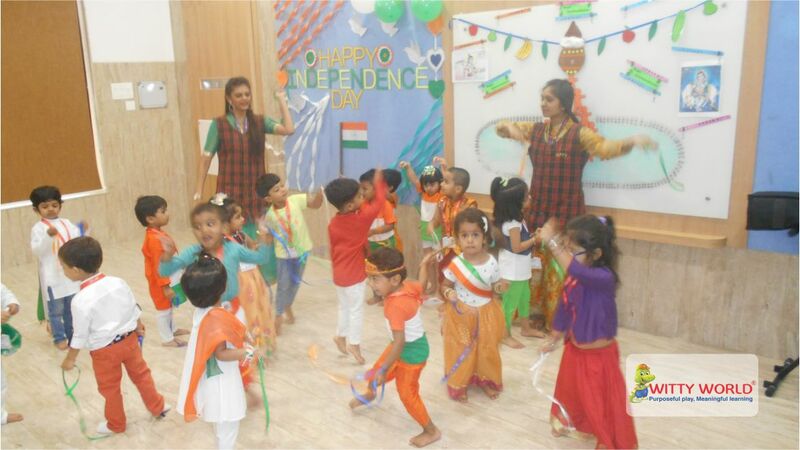 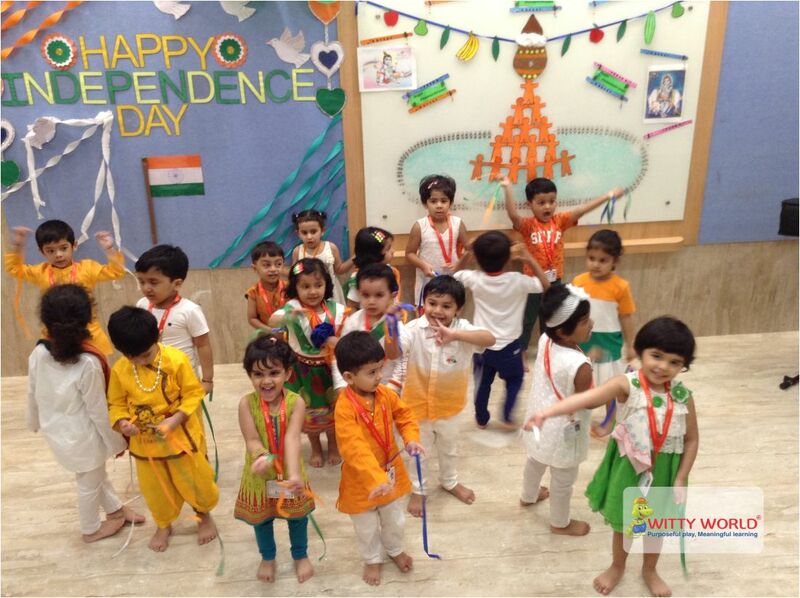 Witty World celebrated the Independence Day & Janmashtami on 14th August, 2017. 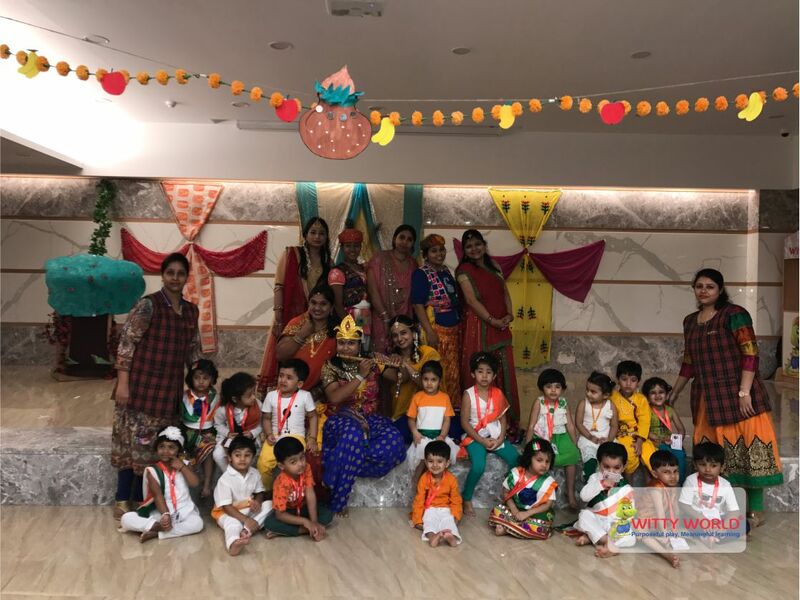 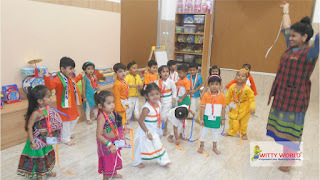 Children and teachers came dressed in tri-colour traditional clothes. 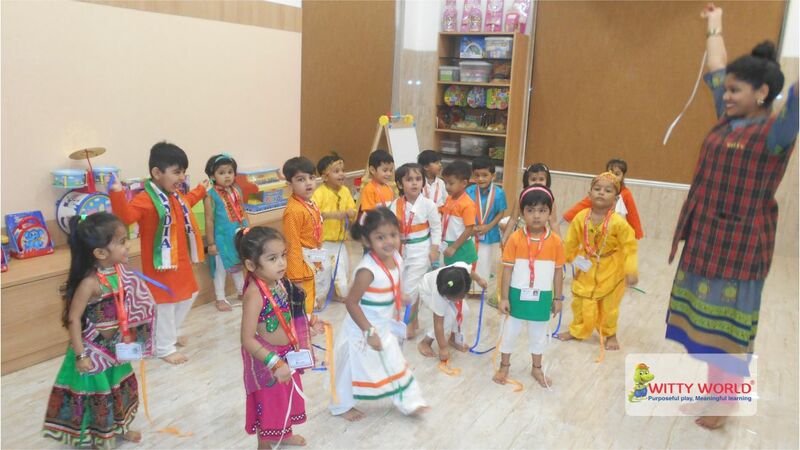 The auditorium was beautifully decorated with colourful flutes, matkis & our national flag colours to create an atmosphere of festivity. 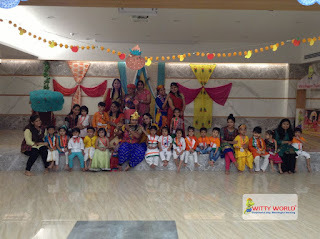 To add to the excitement, a skit on Lord Krishna was presented by the trainees of Witty Institute of Teacher Training. Kids enjoyed the performance tremendously. As a recap there were different activities lined up for the little ones. 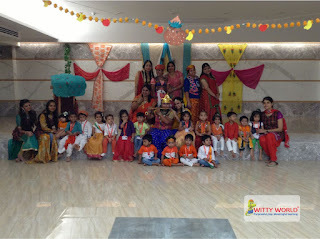 The mood at Witty World was definitely a joyous and festive one, and the children enjoyed themselves! !